Most tourists that head to northern Australia want to see a Saltwater crocodile, but for the special few you can get uncomfortable close to one! there are two get crocodile experiences available where you can get up close with these pre-historic monsters. This is only for the really brave or the really mad, not sure which! If you find yourself in Darwin why not experience the “Cage of Death”! Face off with some of the largest Saltwater Crocodiles in captivity, one of the world’s deadliest predators, and live to tell the tale! 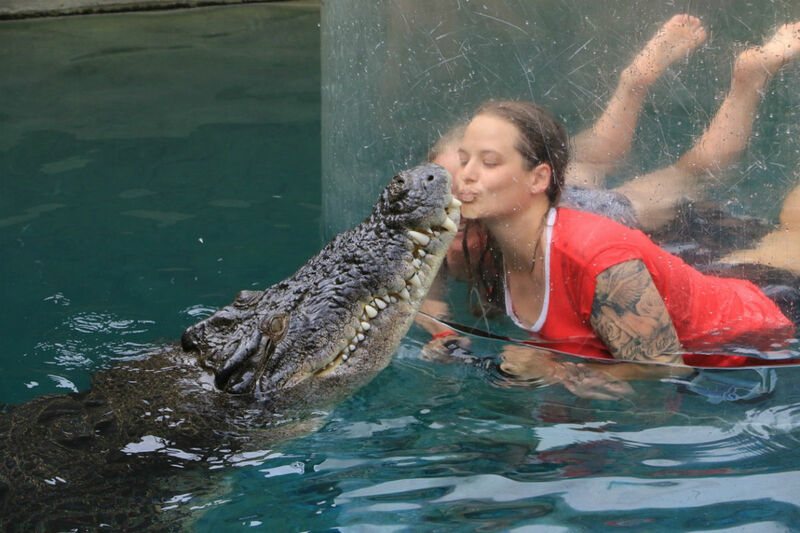 Can you imagine how fast your heart will race when you are lowered into the water for Australia’s only crocodile dive! Fifteen minutes of terror! We have all seen the images of handlers feeding a crocodile, well how about your chance to be a crocodile handler for a day! 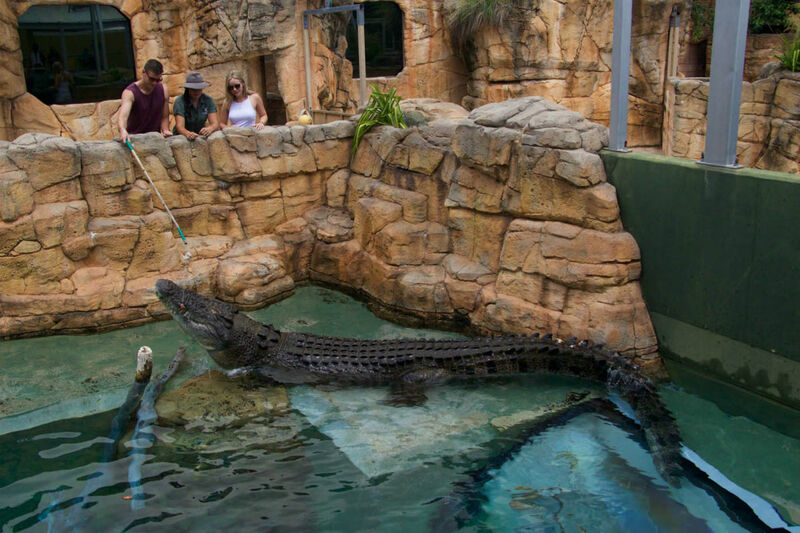 Available in Cairns this tour takes you behind the scenes to learn more about crocodiles, both Freshwater and Estuarine and then have a chance to feed one of them. 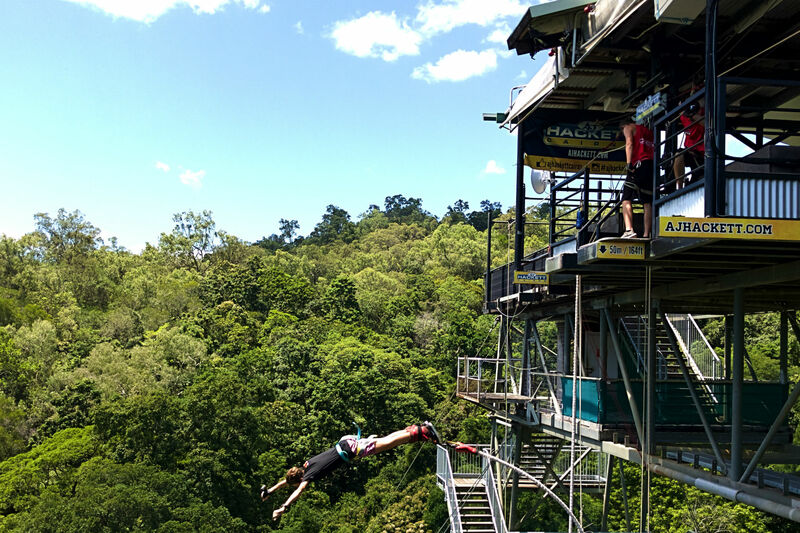 Cairns is Australia’s Bungy Jumping capital. For the last 20 years, the daredevils of the world have been hurling themselves off bridges, towers and out of aircraft, connected to safety only by a veritable giant rubber band! Bungy jumping – along with sky diving – has become one of the two primary thrill seeking activities that are considered essential for those hoping to push the boundaries of personal triumph and join the ranks of modern day Evel Knievels. The Cairns site is popular and frankly, there isn’t anywhere better in the world to face fear head on. 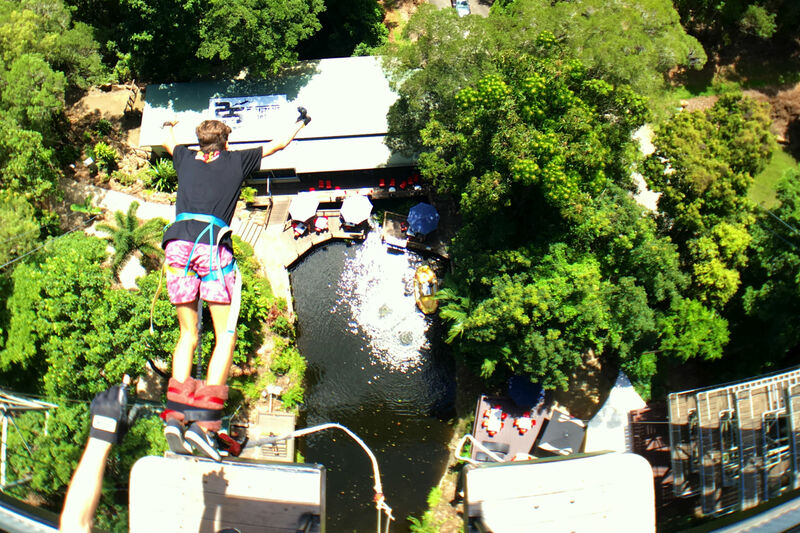 While you’re trembling with fear atop the jump platform, you’ll have gorgeous views of the surrounding tropical rainforest, the mountains in the distance and the calm lake below. When you do build up the courage needed to jump, you’ll have a choice of 16 jump styles – with or without a water dunk. Afterwards, you’ll be buzzing for hours from the thrill of it all, and honestly, who wouldn’t like to add a bungy jump to their list of bragging rights? 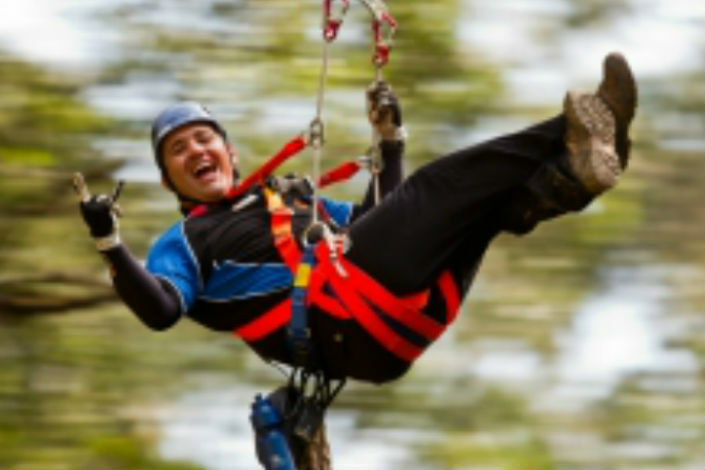 If the bungy is a little too much for you how about the Minjin Jungle Swing? strapped in with 2 of your friends swing down through the rainforest and up for views of the Great Barrier Reef. Skydiving has to be THE ultimate knuckle-whitening activity! 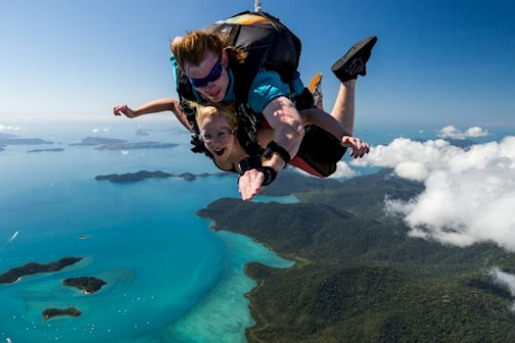 There are quite a few places you can skydive around this Great Southern Land, from the outback to the reef there is a jump site waiting for you. Before your jump, you’ll be thoroughly briefed on all the steps you’ll need to take in order to experience a safe, successful jump. After admiring the gorgeous scenic views on your ride up, you and your tandem master will make your way to the edge of your drop platform and this is where you’ll need the most courage… Standing at the precipice, you’ll step forward and into empty space, before freefalling at up to 200 kms per hour for around 60 seconds! 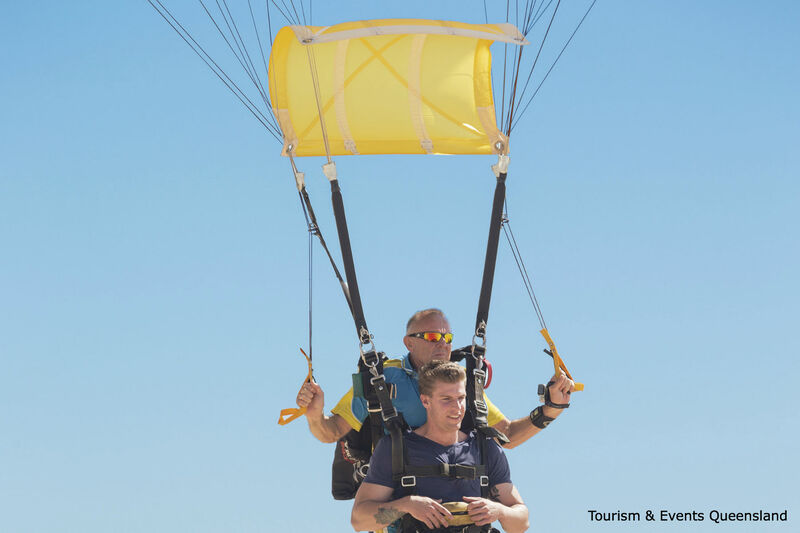 Your tandem master will pull the cord, then you’ll be able to experience the sense of bliss that keeps so many skydivers coming back for more. There’s truly nothing that compares to the feeling of skydiving – first the adrenaline coursing through your veins at such a high level; then, the quiet, calm nirvana you’ll experience as you float gently back down to earth. This is an absolute must-do! 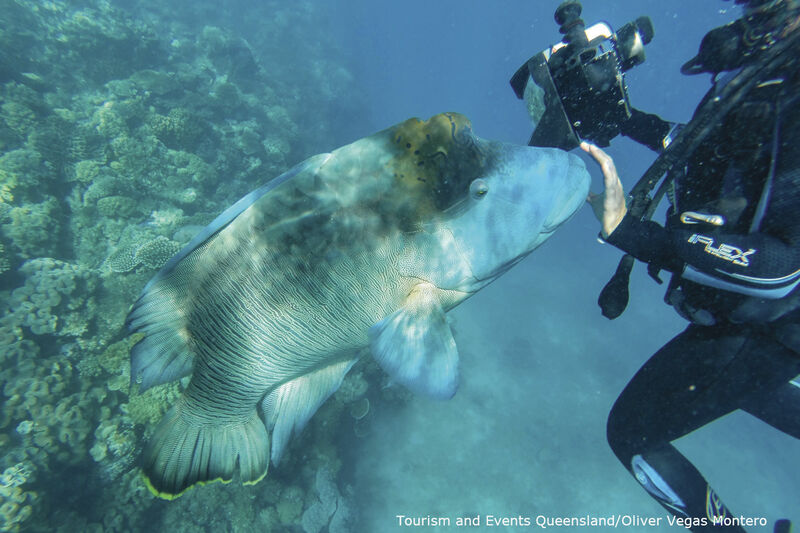 Where better to learn to dive than on the Great Barrier Reef? You can take an introductory dive as part of a day trip to the reef or sign up for you Open Water Certification. then you have to choose where you want to dive. You can dive off an island, take the boat to the outer barrier reef or maybe make friends with a massive cod at the Cod hole, there are so many possibilities. If the thought of getting your hair wet doesn’t appeal what about a Moore Reef helmet dive? 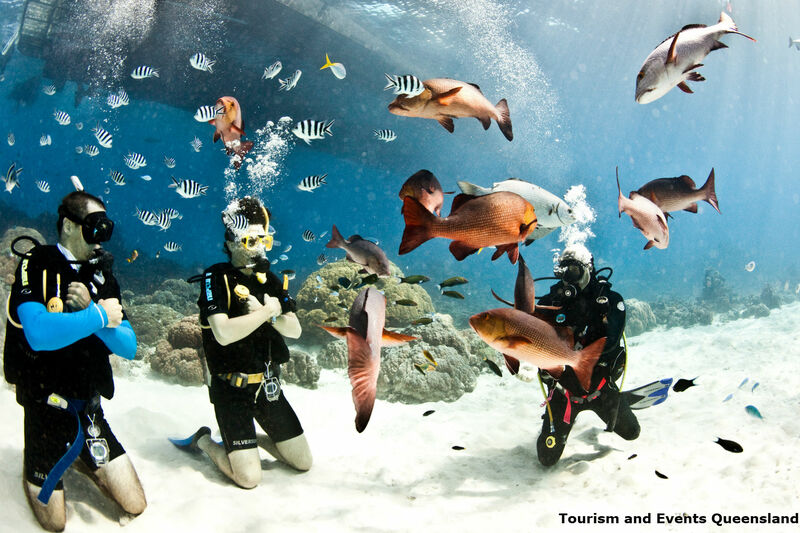 Get up close and personal with the fishes without a snorkel in sight. 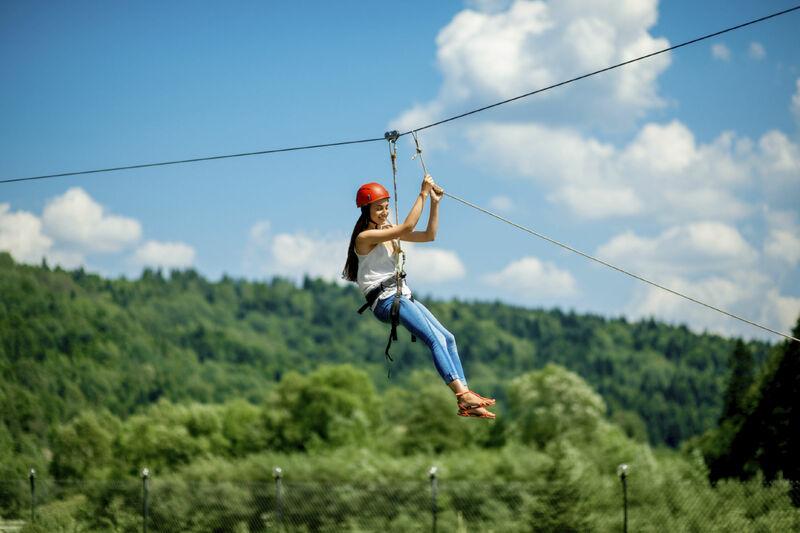 A bird’s eye view of the rainforest or reliving your inner Tarzan, these are all the feelings ziplining evokes. From the Daintree rainforest in Far North Queensland to the Otways near the Great Ocean Road you can experience the thrill of surfing the tree-top canopies. No need to hold on too tight as you are safely strapped into your harness, so you can feel the rush of the wind through your hair as you hang around with the birds. 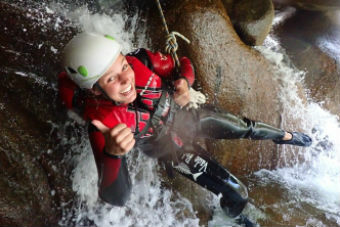 Canyoning is a unique way to experience the beautiful Behana Gorge near Cairns. 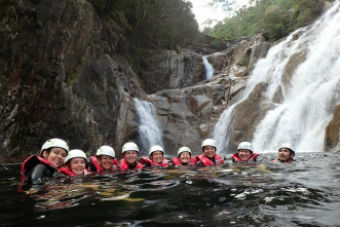 Abseil down waterfalls, snorkel, walk and swim your way down the gorge. there is even a chance to swim under the waterfalls. There is no better way to see this pristine rainforest creek up close. 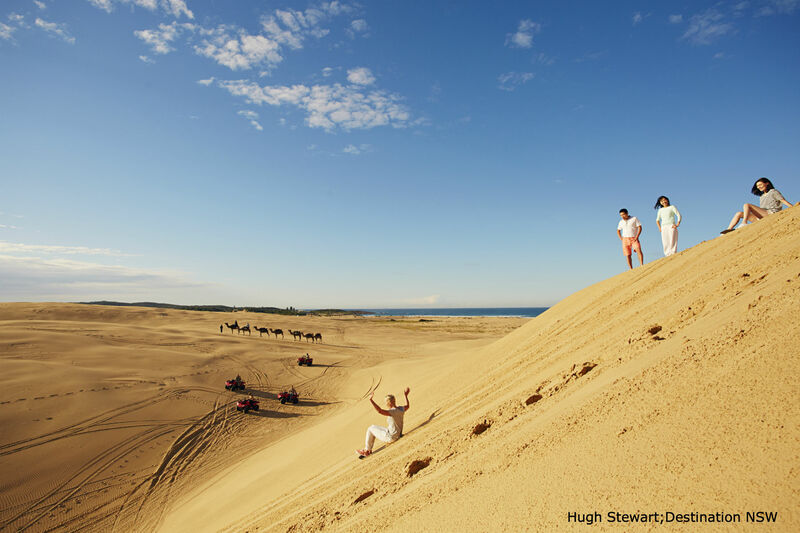 Who could resist surfing the sand dunes of Moreton island or the Pinnacles in WA? Sand boarding is a cross between snow boarding and surfing. There are other places in Australia where you can sand board if you have your own gear, Kangaroo island and Fraser Island come to mind. You can do it lying down, sitting up or when you are really good at it standing up. But don’t worry as part of an organised tour your guide will give you all the help you need to have you rocketing down the slopes. 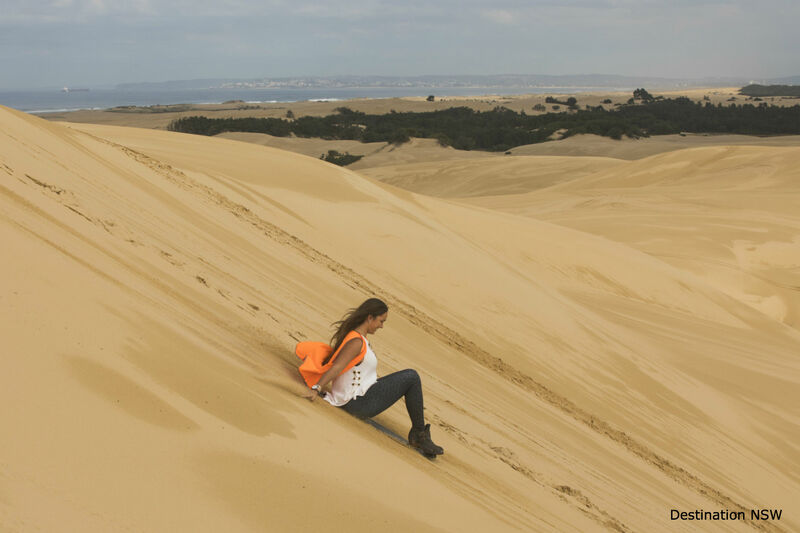 The great thing about sand boarding is that it is an all seasons sport, and the only downside compared to snow boarding is the walk back up the dune to start again. 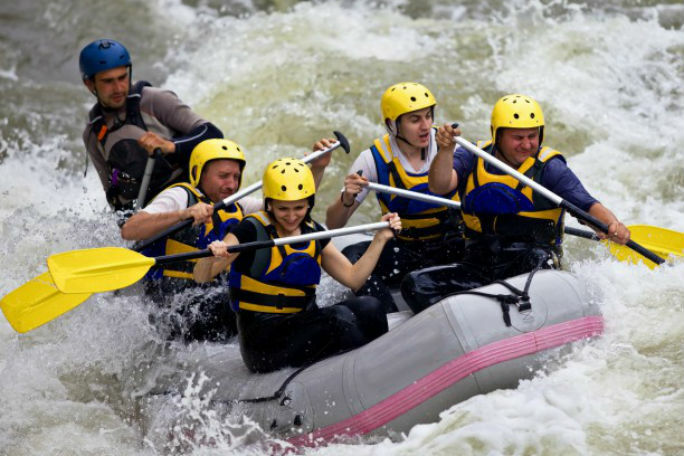 Rafting is another adventure tour option that helps put Cairns on the map as Australia’s Adventure capital. Your options are a half day trip down the Barron River or a full day trip down the amazing Tully River. Both tours occur in the World Heritage rain forest famous in this region. 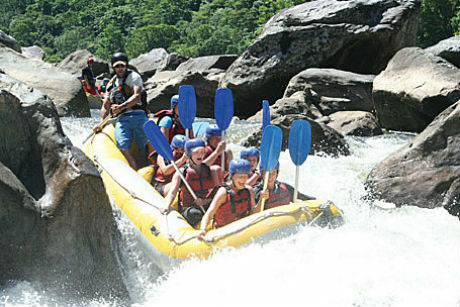 On the Tully River you will traverse over 40 sets of rapids up to grade 4 level, if you choose the Barron river most of the rapids are Grade 2 and 3. But don’t worry you are in the safe hands of experienced guides. Although you will definitely get wet, but that’s park of the fun. 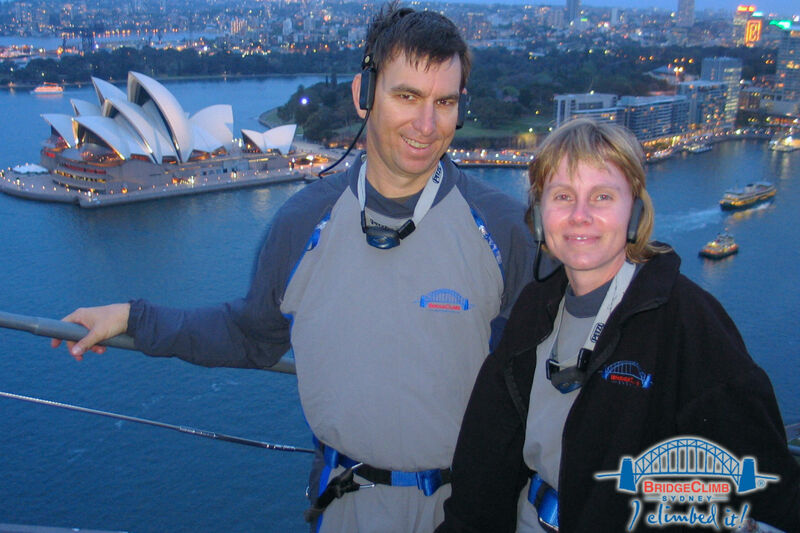 An awesome way to see Sydney Harbour by climbing the iconic Sydney Harbour Bridge. 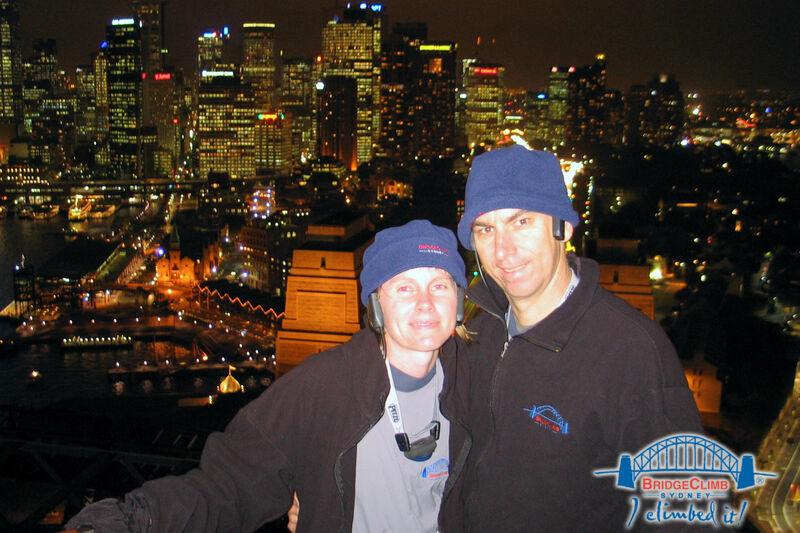 Walking along the maintenance gantries and walkways to the summit of the bridge 134m above the sea the view over Sydney is stunning. Along the way learn about the history of the bridge and the people that built it as well as some of the history of surrounding Sydney. this is one of Sydney’s most popular activities so make sure you book in advance.